Is Wolfe Creek Crater worth it? We are unsure if we should see Wolfe Creek Crater or not. We have booked a 4WD camper, and are going from Broome to Kununurra via highway, and back to Broome via Gibb River Road and Mitchell Plateau. Judging by your comments in your book, we would need to put aside virtually a full day (2-3 hours in, couple of hours there, and 2-3 hours back) to include Wolfe Creek Crater in our trip. Is it worth the day trip, or would that time be better spent somewhere else? I understand all peoples tastes are different, and you can't tell us what we would like, but I thought it would be very interested to see something of that magnitude, but not if it is too far out of the way. Thank you for your time and thanks for "Destination Kimberley", a great publication and so far very helpful in planning our 14-day trip in May/June 2009. Comments for Is Wolfe Creek Crater worth it? Uh-oh, I can't really answer that. You'll have to make that call. Personally, I think if time is very limited then there are better places to go. Not that the crater is not worth seeing, it sure is! But time is just too precious to spend more than absolutely necessary in the car. Especially if you make this a day trip. If at all, I'd make it an overnight trip and camp there, so you can experience the crater in the late afternoon and early morning light, when it's cooler and wildlife is more active. I'm not sure you'd enjoy it in the middle of the day, after rattling for a few hours to get there, and then rattle for a few hours back. 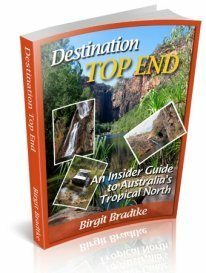 We travelled to Wolfe Creek last July and felt it was well worth it. We were advised at the Halls Creek visitors centre that the road was heavily corrugated and that the last part of the road into the Park was extremely poor. This proved to be bad advice and the road was very good all the way. At the time there was a lot of road work going on and in places a brand new road was being built. The crater (in common with much of the Kimberley) gives you a wonderful sense of how old our landscape really is. Your travelling times are spot on. We went down in an afternoon and came back the next morning. It's worth camping overnight- the stars are brilliant! My wife dropped my favourite torch into the long drop - it's still there! Besides the Bungles,the trip to Wolfe Creek Crater was definitely a highlight of our 18,000 km trip mid year. I would certainly advise staying overnight, if only to experience the sunrise/sunset over the crater. We were lucky enough to be there on a night of a full moon, and it's a sight I will never forget. We sat on the crater rim and watched the sun set on one side and the full moon rising on the other. The next morning we walked the 800 metres across the crater floor and watched the sun coming up over the rim. Truly awesome!! As Birgit has already advised road conditions change frequently but we found the track into the crater was even worse than the Tanami and took over an hour to get there from the turn off. (But then we heeded all the advice and travelled slowly.) I hope this information is useful. While other's comments are a good guide for some, I thought I'd just add another guide for those with a little less time on their side, so they too don't miss out on this experience. Firstly I must say that I was concerned about whether it would be worth the trip and various people had tried to suggest it wasn't worth it. Even my family decided they would stay in Halls Creek for the morning. However, once I was there, I discovered it really was worth the trip and I'm so glad I went. You simply cannot appreciate the size and mysteriousness of a meteorite crater by looking at photos. I've seen the bigger one in Arizona and I really wanted to see this one too, and it was amazing. To sit there and think what happened on that day! Anyway, I was short of time, with family eager to get on to the next stop, so I had to rush. The visitors centre told me that the road was in poor condition and worse than the road into the Bungle Bungles. This turned out to be completely wrong. I would compare the road to the best parts of the Gibb River Road, and in pretty good condition for a dirt road. You actually can't drive too slowly over corrugated roads anyway or else you and your car will be rattled to pieces. I only required half a day, which included a walk to the centre of the crater. I spent about an hour-and-a-half there. So for those with experience travelling on dirt roads, and a little short of time, half a day will be sufficient. We continued on to Fitzroy Crossing by the end of the day. Even though time now would have passed since your holiday, I would still like to make a few comments about wolf creek crater. I have been to the crater and I think it is a very well worth it trip. I would have regretted not going there if I didn't. It is an amazing site and something that can't be seen anywhere else. The trip there takes a while but it is not annoying or anything of the sort- just a bit bumpy. I thoroughly enjoyed the trip and am happy I went. I am now doing a report on it at school because it has influenced me so much which is why I am on this site. Two points - Tanami is OK. Problem is not with corrugations but large pipes across the road. They create just a small hump but when we travelled at 90-100 kmh and became airborne few times. Recommend hiring a satphone. 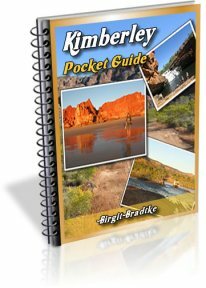 Kimberley is the most beautiful place in Australia, but sparsely populated. At $15-17 a day, it is a very good insurance policy. For anyone going to the Crater, you must see it to appreciate it. As a geologist it blew me away to think of the impact event happening and if you know what to look for you can easily locate fragments of the meteorite inside and outside the rim. I have been their twice and the Tanami section from the WA border to Halls Creek was as rough as guts but I did make it ok and was only in a 2WD ford courier ute. The road into the Crater from the turnoff was badly in need of the grader blade and I even managed to snap off my UHF aerial. I was lucky to sit on the Crater rim that night in pitch black darkness and watch an amazing lighting show in the distance which lit up the crater for a second to highlight its mystique. Well worth the drive and while visiting the crater I even managed to bump into Spida Everitt who was making a doco for his Great Australian Doorstep series. One of the best places I have ever visited! It was time very well spent. Every thing was worth the trip. The road was pretty rough, as bad as the worst of the Tanami Track through to Alice, but spectacular!! We did the Crater trip in 2009. It was rough as guts when we turned in off the Tanami. The crater at Dalgaranga is at the other end of the scale at jus t25 meter diameter that too is worth the trip if done at wild flower season. Did the whole Kimberley trip from South to North. After the Bungle Bungles took the road East. Good gravel road with clear views both sides as the cattle are common. This was the most remote we had felt on the trip. Clean and compact camp site about 1.8m from the crater. If you like clear open starry nights this place has it too. I will return with the wife next time. I made this trip in a commodore ute. As the guide said conventional vehicles. However I would not do it in it again. After the third gate you can pick out the crater as it has the only rise anywhere around. Once I got to the car park I was a bit umm and urring about if this was worth it. But after walking up the short pathway to the rim I was blown away! It is HUGE and photos just do not do it justice at all .The patch of bush in the middle makes it even more special, like if you descend down the cliff like walls and into the green you'd be in some jurassic park world. I think it is worth it because it is nature and that is amazing that nature can create stuff like this so go and see it for god sake. 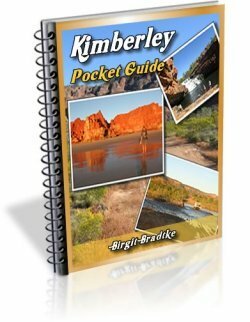 We did the Kymberley trip in 2014 and decided to visit Wolfe Creek. The site was certainly worth it, however the track in was absolutely shocking - very badly corrugated and large potholes - so bad it actually snapped one of the solid brackets holding our side rock sliders on to the car. Ended up tying the broken off parts on a mate's camper trailer for the rest of the journey. Depends on how much you value your car. 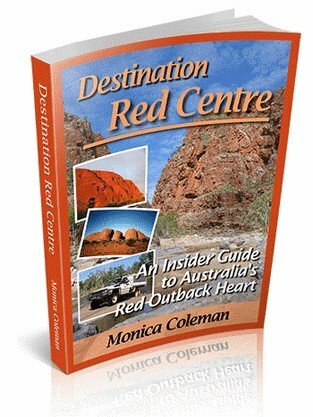 Am planning on visiting the crater this June, while taking in Ayers Rock and the Kimberlies. Love my photography so I'm sure I won't be disappointed. My wife and I plan to travel there in late Aug. Would it be too cold at night? Also I have never been in NT, Australia, would the road condition from Alice Spring to the crater be bad? Any gas station in between?